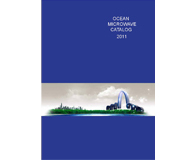 Oceanmicrowave has been committed to provide the most suitable for your microwave system solutions, years of microwave systems integration experience, make our system more efficient. In addition to providing the high performance microwave antennas products, more antenna system solutions, rich technical experience makes more excellent applications. Power amplifier;Low noise amplifier;Frequency Synthesizer;Coupler;Power divider;Power combiner;Filter.